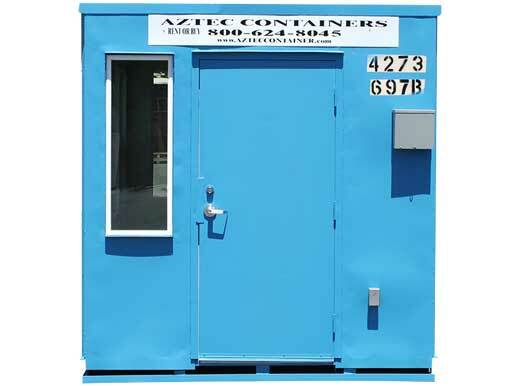 Since 1969 Aztec Container has been the industry leader in sales of ten foot long portable guard shacks made from shipping containers for job sites, office sites and construction sites. Our 10 ft. ticket booths are designed to fit your exact specifications. 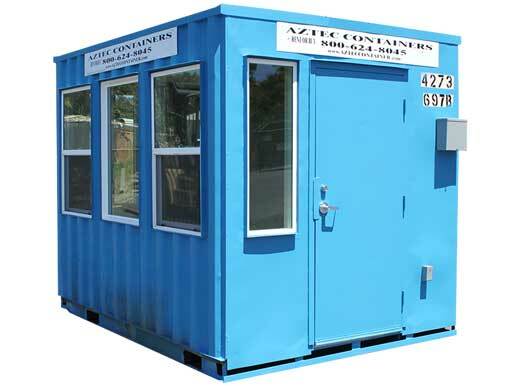 Our guard shacks are made from the same heavy duty steel frame found in our storage containers. These mobile guard shacks are designed for security guard use and may be moved from site to site. Our guard shacks offer excellent portable security at remote locations. 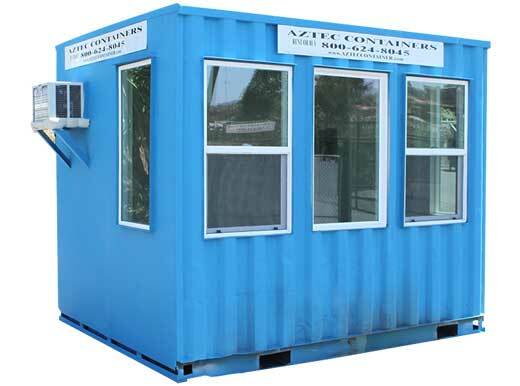 If you are looking for portable guard shacks, Aztec Container can help find a solution to meet your needs and budget! Call us at 1-800-399-2126 for a quick quote or fill out our quick quote form. 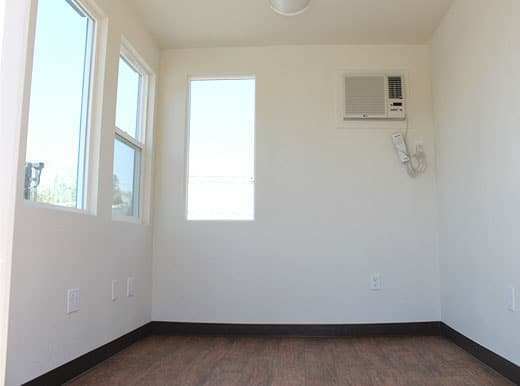 We offer these for sale and for rent in selected areas. You can read testimonials from many of our satisfied customers below.